Page 25: "So, to summarize the clinical data, a total of 2,676 women have been studied, with 557 completing 5 years of follow-up. And the TVU study follow-up will continue to follow an additional 493 women for 10 years. In addition, SUCCESS II has added another 2,600 with 5 years of planned follow-up in an observational study." Recall that Dr. Zampaglione stated on Friday that there were "tens of thousands of women" who've been studied. When just two months ago, his most generous number is about 5,800...And you can only count all those people if you forget to notice that out of 2,676 women, they only actually followed-up on 557 which is an amazing drop-out rate. Maybe the loss to follow-up was because there are many Sabrinas out there who Bayer simply does not want to keep in the study and follow? Page 204: Bayer was asked about data they had on nickel allergy. This is a very big deal. Dr. Edio replied, "No, there was no criteria per se in the studies to identify or to say this is an allergic reaction. So we also do not have that." The FDA replied, "So how is it that you can declare that there's no allergy if you don't have a criteria for whether there's an allergy or not?" Which was then followed up with another question by the FDA, "It was a question for anybody who will answer it. How do we not have data on nickel allergy when we have a device that's 55% nickel, and 20% of women -- approximate numbers -- are known to be nickel allergic? Why is there no data? How can you put this in your package insert and then have no clue?" After a lot of back and forth about the incidence of nickel allergy, Dr. Zampaglione replied on page 222 with "We don't have that information now." Page 230: This is a particularly worrisome discussion about whether Bayer followed up on known adverse events after Essure placement. Dr. Edio says, "So I just want to make sure that I understand the question. So your questions pertain to are we looking at outliers to see those clinicians or offices who have had higher rates of adverse events? Okay. It's very difficult to track, and we're not able to." Well, I guess if you never look at adverse events, it makes it really easy to draw the conclusion that there aren't any! Again, Bayer doesn't have the data. Page 236: FDA asks, "You've been asked to specify geographical distribution of adverse events, and you always go to international, where the distribution shows that the United States has more. I would like to see if you have information on the distribution within the United States geographically." Dr. Edio's reply, "So, breaking down geographically in the United States, that was your first question. That we do not have. I don't know if we're going to be able to get that." Once more, Bayer doesn't have the data. Page 242: FDA asks, "In listening to the speakers this afternoon, it seemed like there were a lot of complaints of autoimmune-type responses. So I'm wondering if any family history of autoimmunity or any data was collected." Dr. Edio's familiar response, "No. For the clinical trials, that information was not collected or asked ahead of time." If I had to summarize the gist of Dr. Edio's replies to the FDA... 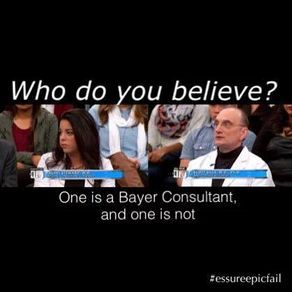 If it was something negative about Essure, "we don't have data on that." Interestingly, he talks about exclusion criteria in their various "studies." Improper placement was an exclusion criteria! 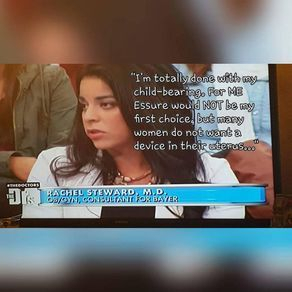 Well, if you remove all patients who had "improper placement" of Essure, then of course your product is going to seem better than it is. Page 265: I think this is a crucial comment by Dr. Chappell (FDA panel). He says, "...so we find ourselves in a situation, 13 years after this device was approved by the FDA, of asking ourselves about pain and bleeding irregularities and other very common outcomes. And we are doing so because this was approved on the basis of a so-called pivotal trial which was not randomized, not controlled; it was single armed. And I say so-called dismissively because I don't see how a pivotal trial can be a non-randomized, uncontrolled trial. Therefore, I recognize the logistical difficulties, the expense, but therefore, I strongly urge the FDA to abide by its own statement, which it made in 1967, that the gold standard is a randomized clinical trial." 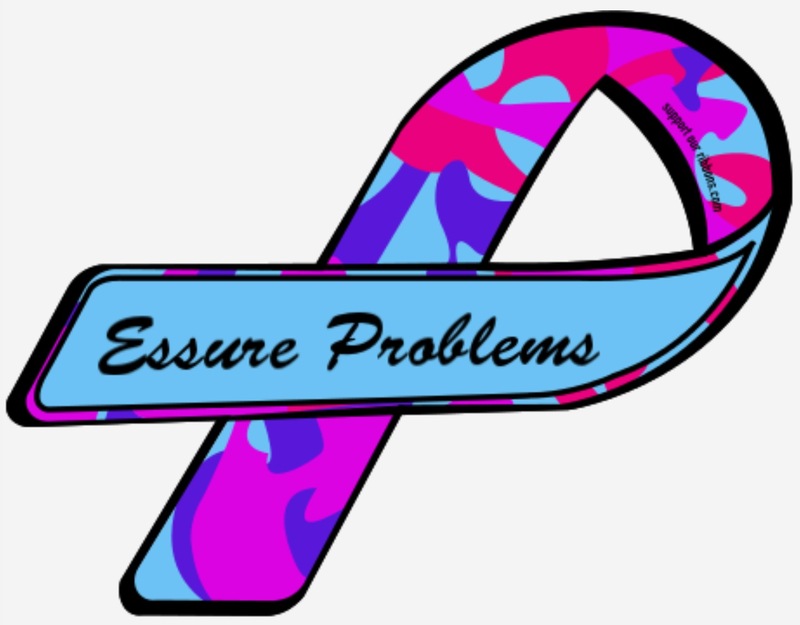 You already have the key New England Journal of Medicine article which says: "Although Essure is designed to remain in place for a woman's lifetime, few women in the premarketing studies were followed for more than 1 year — a limitation that precludes conclusions about longer-term risks. Appropriately, FDA approval was conditional on two mandatory postapproval studies to provide 5-year follow-up data on patients in the premarketing approval studies. However, these studies were not made well known: neither one was registered at ClinicalTrials.gov (though that probably wasn't legally required under the FDA Modernization Act) and their results were not disseminated in a timely way. One postapproval study remains unpublished, and the other was published only recently — 13 years after device approval and 7 years after study completion and reporting to the FDA." I hope this information is useful. If you, Nick, or Charles would like more information about any of this, please don't hesitate to call. It makes me so mad that they pulled what they did on Friday by springing all this on us. Suppress, bully, and lie...downright disgraceful! For ACTUAL information, please read these articles yourself, and come to your own conclusions about who is telling the truth. When a manufactuer sponsors a paper or a study about a drug or device that they are tyring to market, they are obviously going to try and show only the positives. But Conceptus and Bayer look like fools, trying to use shody, at best, collections of data.